K-Theory has an interdisciplinary flavour within modern mathematics, being present in diverse subjects such as algebraic topology, number theory, operator theory and dynamical systems, to mention but a few. In this course we will present the basic tools of the subject, with a stress on applications in various areas by means of examples. We also plan on offering special sessions related to three areas in which K-Theory plays a significant role: Topology, Analysis and Algebraic Geometry. These will be conducted by an expert on the area. 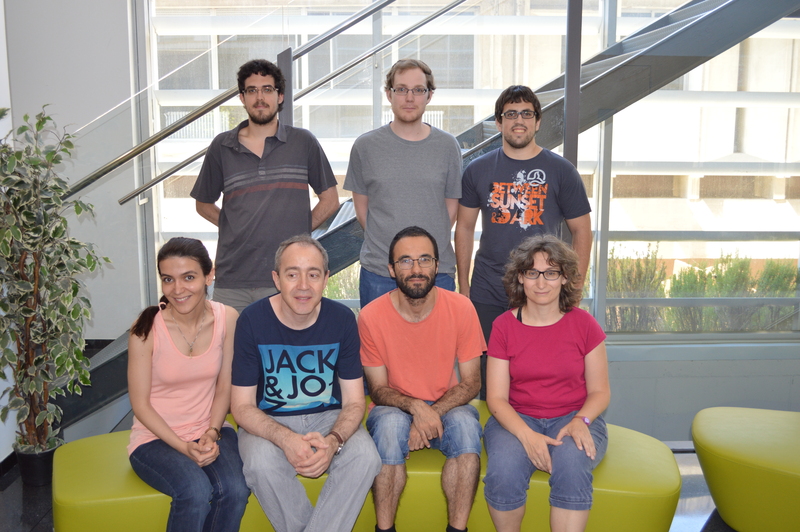 Barcelona Spring 2016 workshop on Number Theory and K-theory. B. A. Magurn, An algebraic introduction to K-Theory, Encyclopedia of Mathematics and its Applications 87, Cambridge University Press, 2002. J. Rosenberg, Algebraic K-Theory and its applications, Graduate Texts in Mathematics 147, Springer-Verlag 1994. C. A. Weibel, The K-book: an introduction to algebraic K-theory, Graduate Studies in Mathematics 145, AMS, 2013.